Every enrollment office uses traditional communications flows to send out multiple emails over time to drive prospects towards applying. The problem with most communication flows is that they start in the middle of a potential applicant’s journey and do not take into consideration prospect behaviors other than the fact that he/she completed an inquiry form. 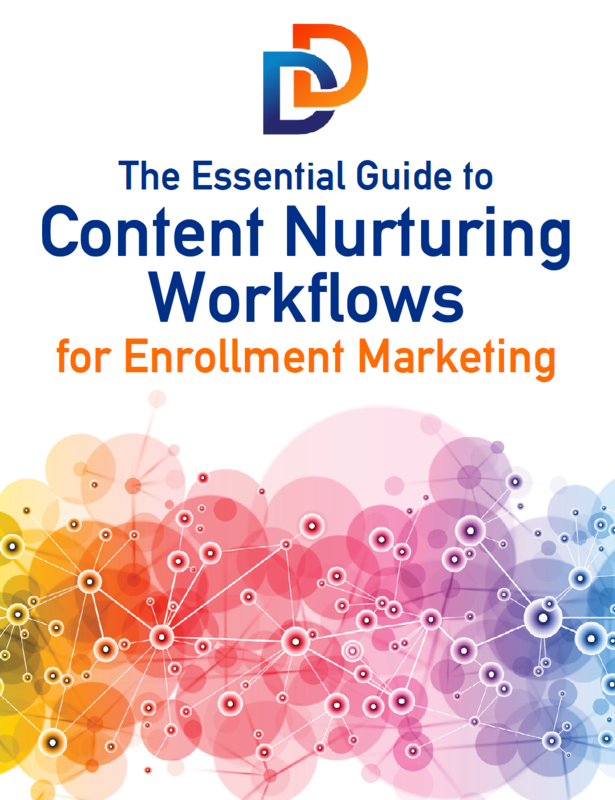 In this guide, you will find 9 examples of Content Nurturing Workflows that show you detailed processes that leverage prospective student behaviors that are directly related to the content they are consuming. This data-driven method improves engagement and generates positive applicant conversion results. That’s why we made this resource — The Essential Guide to Content Nurturing Workflows for Enrollment Marketing — to help you learn how to take a stranger through the entire Applicant Journey using positive engagement via relevant content triggered by workflows.